At Renew Physical Therapy our mission is to serve our community by providing individualized and consistent one on one care, empowering patients to better health. ​We focus on treating injuries with manual therapy techniques, individual exercise prescription and patient education. We teach patients how to move, lift and sit and provide self-treatment techniques. Our job at Renew Physical Therapy is simple, we help guide patients back to their prior level of function and prevent further injury. ​Our one on one treatment is tailored to address your goals so that you can work smarter and play harder. Renew Physical Therapy opened in 2012 and is owned and operated by a physical therapist. We are located in the South Seattle, Columbia City neighborhood of Seattle Washington. Renew PT provides hands on care by highly trained therapists every visit and serves patients from South Seattle, Mount Baker, Seward Park, Beacon Hill, Renton Skyway and from areas nearby to Hillman and Columbia City. If you have the opportunity; show up early for your first appointment to experience the best that Columbia and Hillman City has to offer including Columbia City Bakery, Empire Espresso, the Jus Bar, Tin Umbrella Coffee Roasters, Rocket Crossfit and many more. Erik has been in the field of physical therapy and the out-patient orthopedic setting since 1999. He has experience treating injured athletes, weekend warriors, post-surgical patients, cross-fit athletes, and patients who’ve suffered injuries from car and work related accidents. He started his own practice in 2007 and partnered with Spine Rehab Associates in 2010. SRA offers a multi-disciplinary approach to treating muscular skeletal injuries with physical therapy, chiropractic, massage and medical services. In 2012 Erik’s business expanded to the Columbia City neighborhood of South East Seattle where he opened Renew Physical Therapy. In addition to working in clinical settings, he has worked with companies like Costco and Pierce Transit to help treat and prevent work-related injuries. 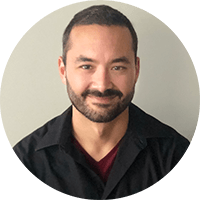 Erik earned his Master’s of Science in Physical Therapy from Columbia University, his undergraduate degree in Biology from Tufts University, is a Certified Associate Ergonomist and a member of the APTA. Erik grew up in Massachusetts and moved to Washington in 2002. He resides in Seattle with his wife and two daughters. In his spare time he enjoys being with his family and friends, watching and playing lacrosse, boxing, CrossFit, and spending time in outdoor activities. Joe received his Physical Therapy degree in 2000 from the University of Washington and has practiced in Seattle for well over a decade. He has experience treating a variety of conditions from elderly patients with balance impairments to high level athletes with a myriad of orthopedic issues. Over the last three years, Joe has also worked closely with CrossFit athletes in biomechanics, mobility, and injury prevention. 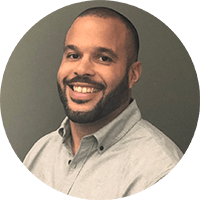 In 2008 he became board certified as an Orthopedic Clinical Specialist (OCS) from the American Physical Therapy Association and has studied extensively with the North American Institute of Orthopedic and Manual Physical Therapy (NAIOMT). Further sharpening his diagnostic and treatment skills, Joe earned his Certified Manual Physical Therapist (CMPT) credentials in 2016. His treatment philosophy is to collaborate with the patient to help identify the root cause of their dysfunction. He treats with a combination of hands on therapy, exercise, and education, teaching the patient every step of the way to prevent re-injury. Outside of work he enjoys guitar, physical fitness, soccer, and golf. 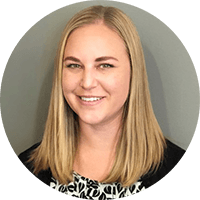 Megan is a native of Seattle, WA and has worked primarily in the outpatient orthopedic setting since she graduated from University of Washington in 1998. She finds it important to perform a detailed examination and evaluation of each person in order to individualize treatments, as well as to address the source of the pain and/or dysfunction. She has a strong interest in manual therapy and incorporates its various techniques to facilitate the recovery process along with therapeutic exercises and movement re-education. Megan is an active listener and enjoys helping patients achieve their goals. Outside of work, Megan often spends time with family and friends. She really enjoys going for walks, being outdoors, dancing and movies. When there is spare time, she often chooses to read various non-fictional subject matter as part of her ongoing interest in learning. Sarah is a Seattle native and graduated with her Doctorate in Physical Therapy from the University of Washington. Outside of work, Sarah enjoys playing ultimate frisbee, riding her bike, and listening to music. Matt, a new resident to Seattle, graduated with his Doctorate in Physical Therapy from Northwestern University. He has a Bachelor’s of Science degree in Rehabilitation Psychology from the University of Wisconsin-Madison. Matt is proficient in working with patients with a wide range of orthopedic and neurological impairments including low back pain, cervical whiplash, post concussive syndrome, shoulder impingement, pre-and post-surgical care, complex ankle and foot injuries, and elite athlete rehabilitation. He also has a strong interest in evaluating and treating balance, dizziness, and vestibular disorders including Benign Paroxysmal Positional Vertigo (BPPV). Matt stresses the importance of patient education and utilizes current evidence based practice to address each patient’s specific needs to reach their goals. When he isn’t working, Matt enjoys attending both professional and collegiate sporting events, traveling, and exploring the restaurant scene in his new city. Kaela graduated with her Doctorate in Physical Therapy from the University of Colorado. As a traveling physical therapist, Kaela has developed a diverse professional background. Her passion and experience are in treating pediatrics, geriatrics, orthopedic and neurologic disorders, as well as pre and post-operative care. Kaela has additional training in vestibular rehabilitation for patients suffering from chronic dizziness, vertigo, or balance impairments. 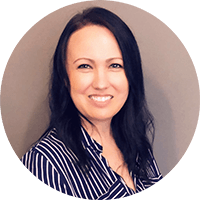 While offering creative solutions and modifications in treatment, Kaela’s primary focus has always been to keep her patients moving no matter what circumstances or barriers they face. In her spare time, Kaela loves to be outdoors hiking, skiing, or paddle boarding. Tana grew up in California, and received her Bachelor’s Degree in psychology from the University of Washington, home of the Huskies. She earned her Doctorate of Physical Therapy from George Washington University in Washington, D.C. and returned to Seattle to start her career. As a professional, Tana enjoys treating patients with a range of neurological and orthopedic conditions. She has experience working with pre- and post-operative patients, and patients injured at work or in auto accidents. Tana has worked with athletes at all levels of experience, from students to elite professionals. She also has experience treating degenerative neurological disorders, like Parkinson’s, Multiple Sclerosis, brain tumor, and balance impairments. Tana uses techniques found in neurological and orthopedic care to achieve optimal patient posture, stability, and movement. Because education is important, she believes in taking time to explain the conditions her patients are experiencing. Tana’s treatment philosophy focuses on utilizing manual techniques to restore joint and soft tissue mobility. She uses function exercise prescription to strengthen and improve postural stability. She teaches patients how to develop better body mechanics and movement patterns to prevent reinjury. 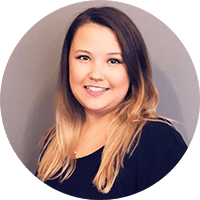 Tana believes that the optimal outcome for any patient should be the complete ownership over their condition, and the understanding of the tools provided to manage their symptoms. In her free time, Tana loves to do all things PNW. She and her husband can be found walking at Green Lake, exploring a new brewery with friends, or rooting on their beloved Huskies, Seahawks, and Mariners. Erin joined Renew Physical Therapy in July of 2018. She is very excited to be working in her neighborhood and community. 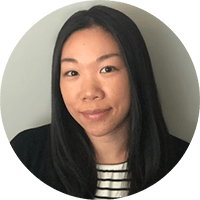 She graduated from the University of Puget Sound in 2003 with a Doctorate in Physical Therapy and has been working in outpatient clinics in the Seattle area ever since. 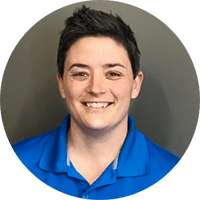 To address the specific goals and unique needs of her patients, Erin uses a combination of patient education, corrective exercise, and manual therapy. She has experience working with pre and post operative patients including joint replacements, injured athletes, shoulder, hip and ankle injuries, postural dysfunctions, work injuries and many other orthopedic limitations. She looks at the whole person not just the injured area to create the best results. When Erin isn’t improving the well-being and lives of her patients, she can be seen on ESPN or the PAC 12 network as a division I NCAA softball umpire. She also enjoys spending time walking Seward Park with her family. Zahra is a Seattle native who grew up in the Seward Park neighborhood. She completed her undergraduate degree at Western Washington University and earned a Doctor of Physical Therapy from the University of Puget Sound in 2007. Zahra has worked in the greater Seattle area for over 10 years and has extensive experience treating diverse populations in the outpatient orthopedic setting. 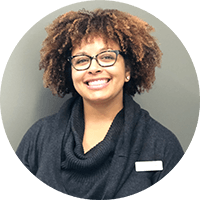 Along with truly listening to her patients, Zahra utilizes a combination of manual therapy skills and functional exercise prescription to best address her patients’ needs. Her treatment objective is to help patients return to full sports activity and to reach their physical life goals. Zahra is comfortable treating a wide range of diagnostic ailments, sports-related injuries, pre and post-operative care, low back pain, neck pain, work injuries, and injuries suffering from auto accidents. In her free time, Zahra enjoys playing rugby with the Seattle Rugby Club, weightlifting, snowboarding, and knitting. Nina has over 20 years of occupational rehabilitation experience, including FCE evaluation, work conditioning/hardening, ergonomics assessment, job site evaluation, and occupational safety education. She earned her Bachelor’s of Science in Physical Therapy from the University of Puget Sound. Nina also has a Master’s of Education, and a Master’s of Science degree from the University of Washington. Nina’s treatment philosophy is based on empowering clients to “work smarter” and strive to be athletes in their jobs. When not in the clinic, Nina enjoys performing marine surveys and sailing/restoring her own vintage wooden boat. Troy earned his Master’s in Occupational Therapy from the University of Indianapolis in 2015. He has a background in the hand therapy, orthopedics and inpatient neuro-rehab settings. He is also a personal trainer, which has influenced his unique perspective on patient care that emphasizes education, motivation, and helping the working athlete obtain maximum rehab potential. Therapeutic areas of interest include hand therapy/orthopedics, industrial rehab, preventative care, holistic treatment approaches, and biomechanics. In his free time, Troy enjoys playing sports, reading, playing pinball, and listening to and playing music. Lynn has been a Hillman City resident for more than 20 years. She graduated from Whatcom Community College’s Physical Therapy Assistant (PTA) program in 2012. 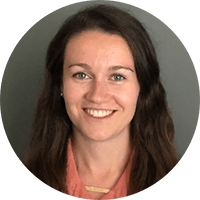 She has worked in Seattle area outpatient clinics since 2012 and began working at Renew in June, 2017. Lynn’s interest in physical therapy grew out of the success she had rehabbing her own sports injuries as a patient. 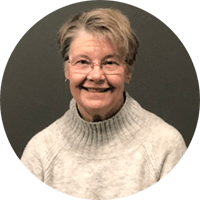 As a PTA, Lynn treats patients with manual therapy and therapeutic exercises based on the physical therapist’s evaluation and plan of care. She enjoys providing patient education about her clients’ injuries and body awareness as well as helping them gain strength and mobility. Outside of work, Lynn spends her mornings rowing on Lake Union and Lake Washington. She spends many of her weekends hiking, bicycling, or skiing in the North Cascades and the Methow Valley with her husband Eric. Lidiya is the office manager and has been with the Renew Team since 2012. Along with managing the day to day duties of the clinic, she strives to ensure patients have everything they need to remain informed and prepared for their treatment. Lidiya is very family oriented, so when she’s not working she enjoys spending time with her family and friends. Lana is a billing and collections specialist and has worked in the field since 2011. She joined the Renew Team in October 2016. She enjoys her work and especially likes helping patients navigate their insurance. Outside of work she loves rough-housing with her 5 children and spending time with her family and friends. Sharonda started working with Renew Physical Therapy in March 2018. Since 2003 she’s provided various forms of excellent customer service and in 2015 she branched out into the medical field. Sharonda enjoys working at Renew Physical Therapy because “Renew creates strong bodies”. With over 30 years of experience as a dancer, she believes that strong bodies can do anything! In her spare time, Sharonda enjoys dancing with a local dance company, reading a good book in the sun, and being competitive. Nancy joined Renew as a front desk Coordinator in August 2018. She has been in similar positions at various medical practices including an acupuncture and naturopathic clinic since 2012. She has experience working in various medical practices including an acupuncture and naturopathic clinic. Nancy enjoys learning about the different treatment practices and the benefits of addressing the whole body. In her free time, she enjoys crafting, creating and catching Pokémon in the wild!